AllAboutGalaxyNote.com is a resource center for all Samsung Galaxy Note users. Galaxy Note covers the original Galaxy Note (or Note 1), Galaxy Note 2, Galaxy note 10.1, Galaxy Note 8.0 and newly announced Galaxy note 3 and Galxy Note 10.1 2014 edition. Just remember, it is not limited to the Note 1. Here, you can find tips and tricks on using your Galaxy Note, Galaxy Note 2, Galaxy note 10.1, Galaxy Note 8.0, Galaxy note 3 and Galxy Note 10.1 2014 edition, find expert and user reviews on these devices, find interesting videos and stories on galaxy note devices. Of course, the website will give you latest update of all Galaxy note devices, e.g. the upgrading to Ice cream Sandwich, or to Jelly Bean, or to KitKat. Review and update of some cool gadgets for Galaxy Note series will be also covered. If you have any questions on Galaxy Note devices, other users may answer the questions faster than the service center. So, don’t forget to ask. remember this is a community for owners of all Note devices. We also have some user manuals posted on User Manual page. If you want to ask questions, you can either comment on the relevant blog posts, or in the forum. If you want o ask a question privately, you can use contact us page.. When get your Samsung Galaxy Note 4 and you don’t want the hassle of big companies controlling your phone service, try a prepaid sim card. It’s my service option, because I can choose my coverage and my data as I need it. And I can also base it on my financial need, as well. If I’m a little short one month, I can still keep my phone on! My favorite provider is Freesimusa.com. They’re easy to use, friendly, will ship wherever you’d like them to. And they’re about the most affordable around! Help!!! Kids got to phone and initiated a firmware reset on our galaxy note II. Does anyone know if there’s a way to retrieve our contacts, photos & apps? We have a lot of business info on here so any help would be greatly appreciated. Thanks! Contacts and apps will be cleared. The photos probably are still there unless format the storage was manually chosen. For contacts and photos, by default, they are backed up to Google. You may check your Google account for contacts and Google + for photos. Apps must be re-installed. You can find all your old apps in play store- my apps – all. If the phone stores valuable info, you should backup them regularly. You may use Samsung kies to manually backup most of the info to the pc. You can also trust Google to backup some info automatically for you. I am BIG fan of SAMSUNG. Earlier, I have cool experience with S3 and then S4 and recently got note III. Its mind blowing gadget, trust me, before having note III, I was eagerly waiting for S5 but now I dropped plan to have that in this year, but yeah I checked that in hand, as my boss is having S5. If someone is confused among S5 and note III, then I would be voting note III. But personally, I am looking forward for Samsung Galaxy s6 to be released next year with latest cool features. 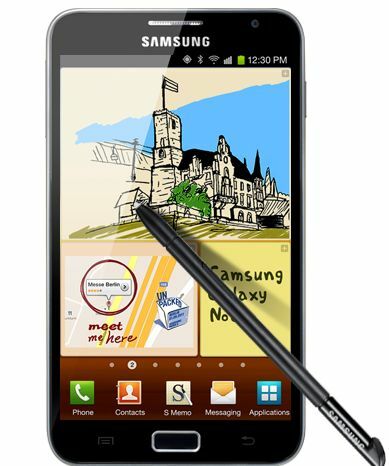 I am looking forward for the Samsung Galaxy Note III. I’ve used the Note II and it’s really fun and easy. I have the budget to spend in the latest Galaxy Note and from the reviews and recommendations I’m reading, having it will be a full-blown experience. Still not detecting ICS update for my galaxy note (AUT). When will it be rolled out for the AUT region? did you check update through Kies on your pc? sometimes, you can try to reinstall Kies. It is weird. Can you check your CSC code? Dialing n *#272*IMEI# (replace IMEI with your actual IMEI number, which can be viewed from Settings-About Phone–Status) will give you the CSC code. Please do NOT modify it!